The Australian Rheumatology Association has said it does not support the use of medical cannabis in the treatment of musculoskeletal conditions. In a recently released position statement, the ARA says evidence supporting use of medical cannabis/cannabinoids in chronic pain and musculoskeletal conditions is scant and more research is needed. “The ARA considers that there should be evidence of efficacy and safety from high-quality randomised controlled trials (RCTs) before any potential intervention for chronic musculoskeletal pain (or other musculoskeletal diseases or symptoms) is adopted in to clinical practice,” reads part of the statement (PDF). The ARA’s position doesn’t mean some sufferers aren’t experiencing benefits – there is significant anecdotal evidence. As for more formal research, a reasonably recent study found cannabinoids can suppress the firing of pain signals from joints to the brain. A UK study from over ten years ago indicated “benefits of clinical relevance” in relation to the efficacy of a cannabis-based medicine (CBM) in the treatment of pain caused by rheumatoid arthritis. In Canada, the Arthritis Society is taking a more proactive stance than the Australian Rheumatology Association toward medical cannabis. The Society has stumped up funds to research the impact of cannabis on arthritic pain and disease management. Arthritis is a qualifying condition for accessing legal medicinal marijuana in Canada – and the Society helps members help navigate the laws. 65 per cent of Canadians authorized to possess medicinal cannabis have a diagnosis of severe arthritis. While not specifically recommending such medicines, the Society’s support of sufferers in this regard is admirable. Arthritis in its many forms is a huge issue in Australia, as it is in many parts of the world. According to Arthritis Australia, 3.85 million Australians are affected and it costs our economy more than $23.9 billion each year in medical care and indirect costs; including loss of earnings and lost production. Contrary to popular belief, arthritis is not an “old person’s condition”. Arthritis Australia says 2.4 million of all Australians suffering from various forms are of working age. 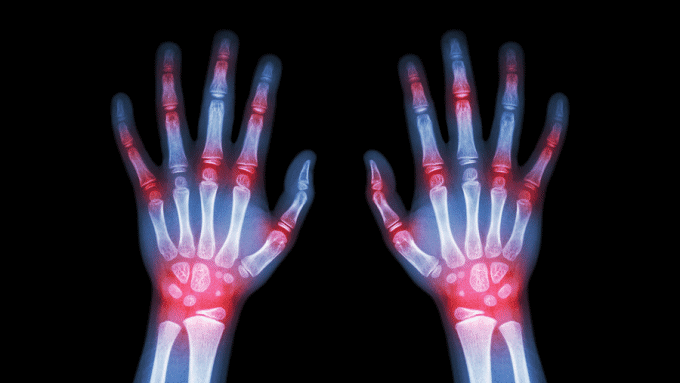 The most common forms of arthritis, comprising 95% of cases, are osteoarthritis, rheumatoid arthritis and gout.